Teaching Missing Addends? Use this fun Around the Room Activity to get your kids up and moving! 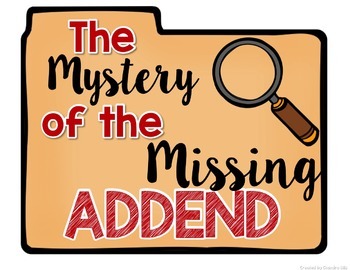 Students become detectives and solve missing addend problems all around the classroom while "proving their case" and showing their work on their recording sheet! 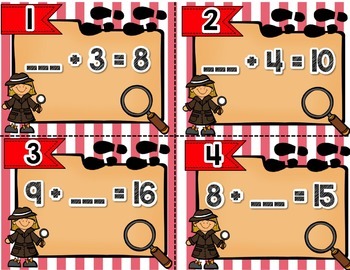 The task cards, recording sheet, fun image to display in your classroom, and magnify glasses to print, laminiate, and cut are included in this pack! 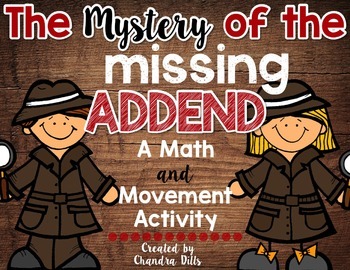 This fun activity is from my Addition Strategies Unit! Read all about how I used it in my classroom here!